Motherwell and Frankenthaler work in the Days Lumberyard studios in Provincetown. 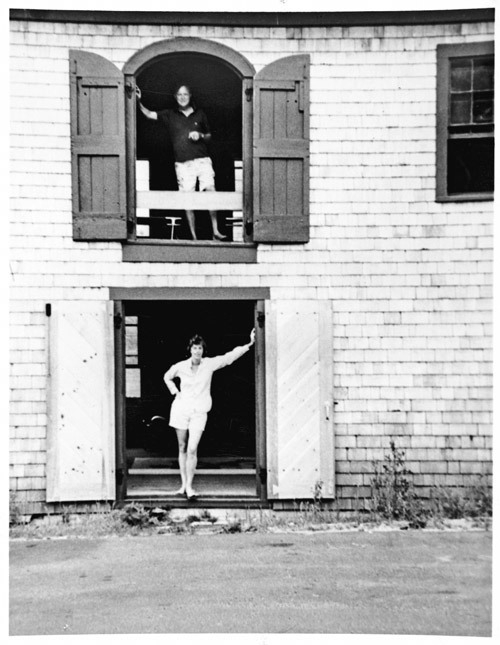 In August, Motherwell purchases the property at 631 Commercial Street, on Provincetown Bay, where he and Frankenthaler plan to build their own studio building. His contemplation of the site, where the breakwall is lashed by the incoming tide, inspires the Beside the Sea series. Motherwell writes ''Homage to Franz Kline'' for a retrospective exhibition of Kline's paintings planned for Washington D.C. The catalogue is not realized and the essay will not be published until 1979.